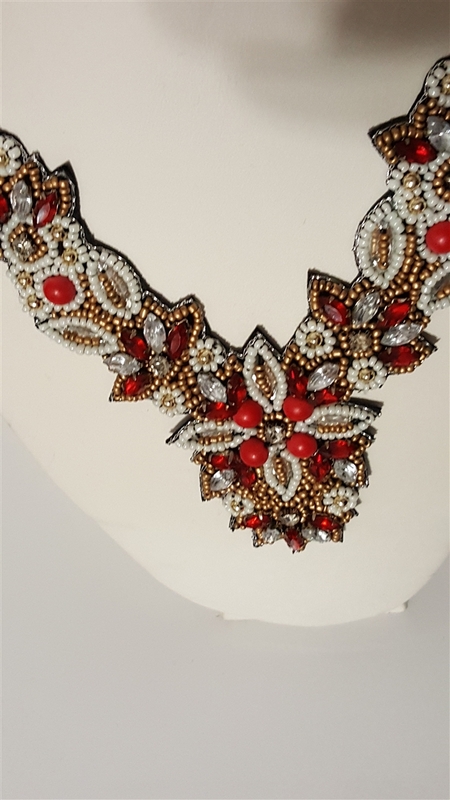 Beautiful neck piece embellished with an array of red, white and gold beads as well as clear rhinestones. Fitting for all ages. Compliments neck but stylish enough to wear on head.